Joyous day! Another excellent Kickstarter game has come to me via the Nintendo Switch! Owlboy headlines the Nintendo Switch’s releases this past week, but it’s not the only anime-influenced platformer worth your time. 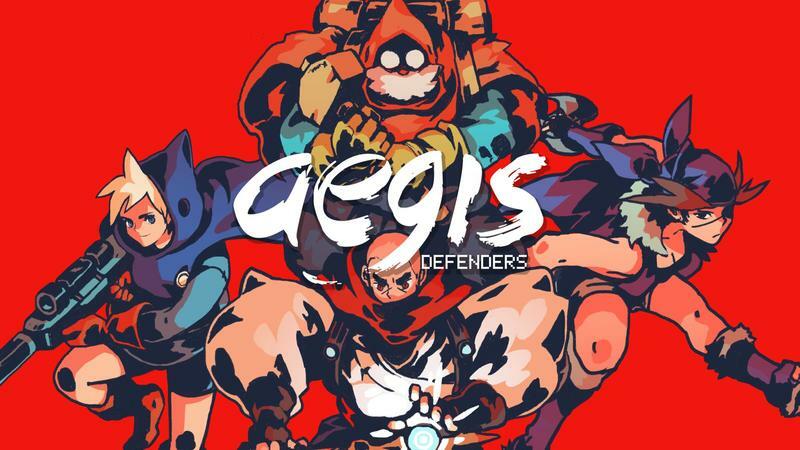 GUTS Department finally published its long-awaited tactical platformer, Aegis Defenders, to a crowd of hungry backers, and so far, the reception has been strong. 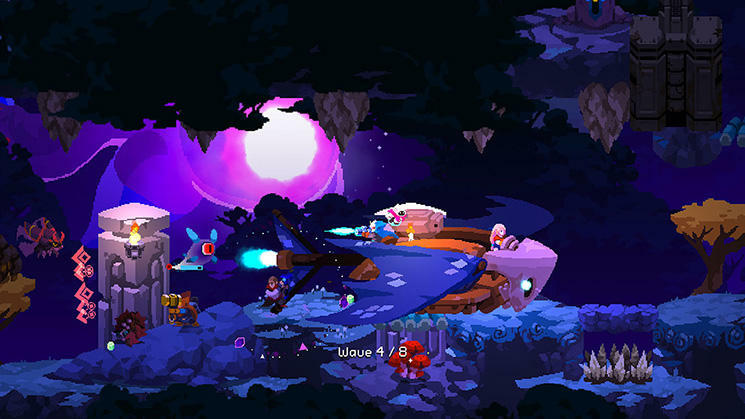 Aegis Defenders is available for the PlayStation 4, PC, and the Nintendo Switch, so naturally, I scooped it up for the Nintendo platform without looking back. I can only thank GUTS Department for being so forward-looking and switching to the Switch halfway through development. The portability and ease of access make it a perfect game to play on the fly. But what is Aegis Defenders. 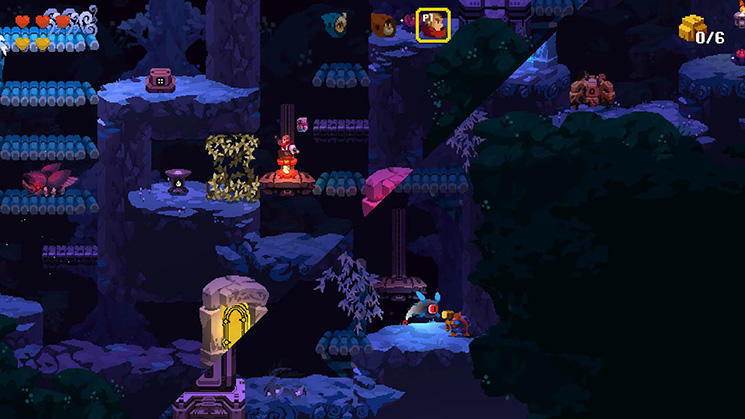 What does GUTS Department mean by tactical platformer? Basically, it boils down to two different genres that we all love to play and love to reminisce about. Imagine your favorite pixelated 16-bit platformers and added with a dab of good, old-fashioned tower defense. 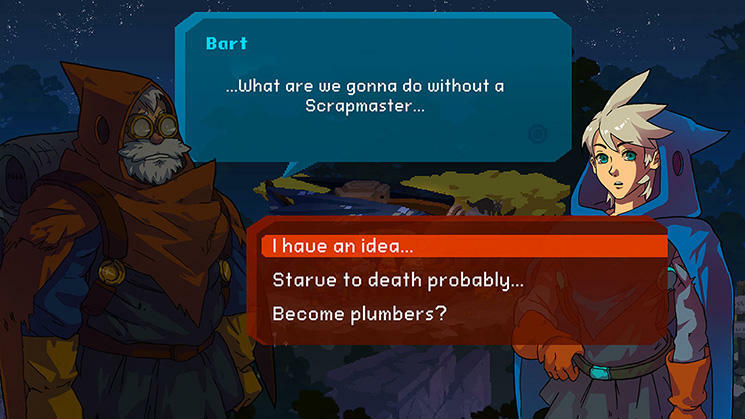 In the game, you’ll control Clu and Bert, a duo of ruin explorers who must combine their unique skills to fend off waves of monsters from stealing or destroying their hard earned loot. 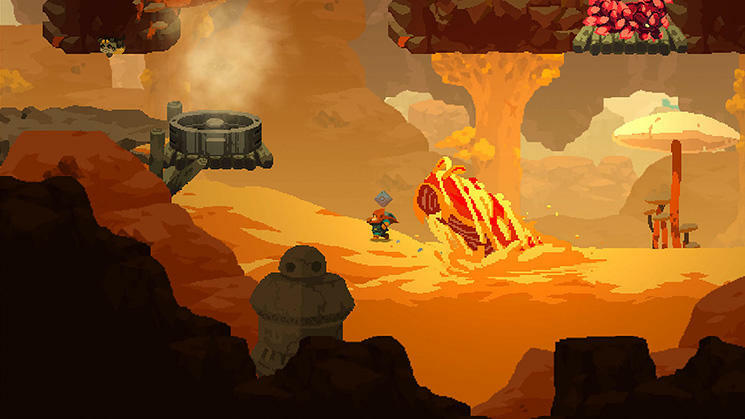 Aegis Defenders takes its plot further than most games in the genre with a well-written story that comes overloaded with fun characters and more than a fair share of Hayao Miyazaki references. You wouldn’t be wrong to say the art style looks like it was lifted straight from Nausicaa of the Valley of the Wind. 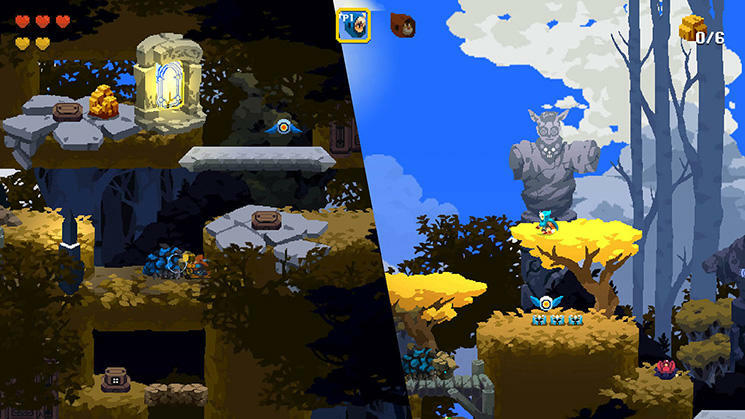 Aegis Defenders was one of the last games I decided to crowdfund way back at the end of the Kickstarter goldrush days of 2014. Its release shrinks my list of expected games down to six! Happy is the day when I can finally close that chapter of my life entirely. Between Owlboy and a recent run-through of Final Fantasy V, my gaming life feels fulfilled at the moment. The new “my pace” routine has allowed me to get some much-needed perspective on my hobby, and overcrowding myself with a third game isn’t the way I want to go right now. However, Aegis Defenders is a game I’ve believed in for a long time, and delaying my time with it any further also isn’t what I want to be doing. Consider this a shout out and a recommendation for you to give a look at what GUTS Department has to offer. I’ll be back with a full review somewhere down the line. 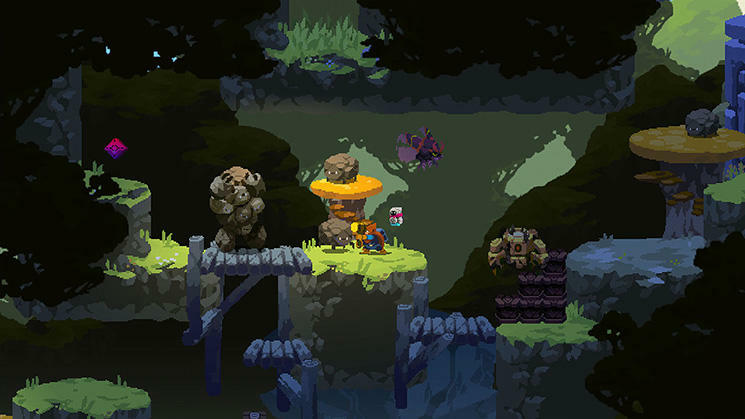 Aegis Defenders is available now for the PlayStation 4, Nintendo Switch, PC, and Mac.